U.S. law requires transportation carriers like airlines to make sure all passengers traveling to the United States are in possession of a valid passport and any required visa. If you are a lawful permanent resident or conditional resident who has traveled outside the United States, you may use your permanent resident card (green card) or a reentry permit in place of a visa. You will almost certainly experience difficulties when you attempt to return to the U.S. with a lost, stolen, destroyed or mutilated green card. Form I-131A, Application for Travel Document (Carrier Documentation), allows individuals in this situation to apply for a temporary document to board the carrier. The travel document comes in the form of a boarding foil placed in the applicant’s passport or a transportation letter. The holder of the travel document may present the document to the carrier destined for the United States. Generally, a travel document is valid for 30 days from the date of issuance. 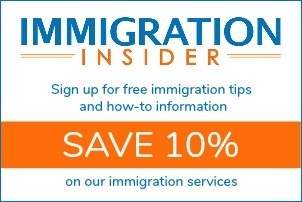 Form I-131A, Application for Travel Document, is not a way for permanent residents renew or replace a green card after abandoning permanent residence. A permanent resident who has been outside the United States for one year or more may not file Form I-131A. In many cases, USCIS will presume that a green card holder abandoned his/her permanent resident status if that person is absent from the U.S. for one year or more. (A reentry permit is one way to avoid this dilemma.) Form I-131A is not a way to re-establish an immigration status. Certain individuals may qualify for a returning resident (SB-1) visa. Please contact an immigration attorney for additional assistance. Green Card Renewal from Outside the U.S.